As China has grown in prosperity, it's felt the need to expand upon its space program, like all prosperous nations do. And like all prosperous nations, it's felt the need to send something to the moon. And now, it's sending its first lunar rover, which should send back some pretty neat pictures and science. 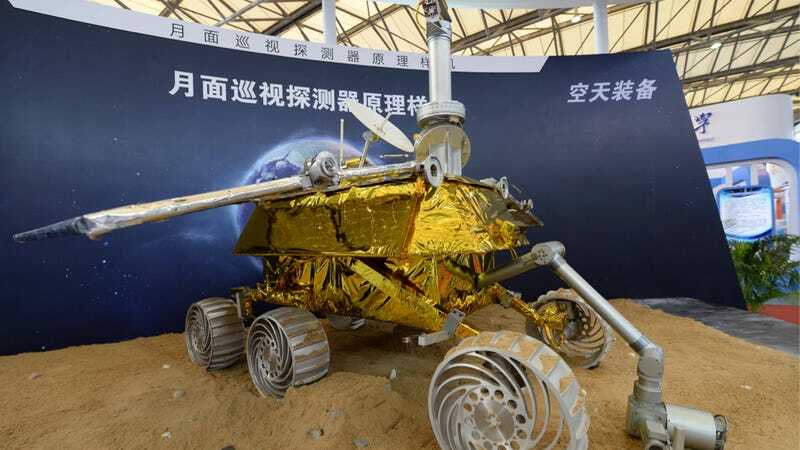 The Yutu, or "Jade Rabbit," launches at 1:30 AM local time on Monday, or 12:30 PM EST Sunday, and will land on a plain of basaltic lava called the Sinus Iridum. Please feel free to correct me if I'm wrong, but I do believe the last wheeled contraption to roam the surface of the Moon was Lunokhod 2, in 1973. Technology's come a long way since then, so humanity is certainly in dire need of some HD dashcam footage. The six-wheeled, two-armed, four-camera'd rover should have a maximum range of about 10 kilometers, and I can't wait.